*New! Acces the GPII Unified Listing here. FREE Online Assistive Technology Training! 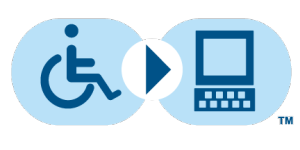 STAR – Alabama’s Assistive Technology Resource, is a federally funded program designed to increase access to and acquisition of Assistive Technology (AT) for Alabamians with disabilities. Get started with online AT training by browsing the topics listed at the top of this page. Free AT Demonstration & Loan! STAR collaborates with UCP Huntsville to provide AT demonstration and short-term loan of AT devices available through UCP Huntsville’s Lending Library. This program is free to individuals statewide via Alabama’s at4all site. Loaned items can be shipped to any address in Alabama. After identifying specific AT through a trial of device demonstrations, consumers are offered choices of devices to try out through loan, which ultimately aids in the selection and acquisition of a more appropriate device that meets each consumers’ specific needs. Consumers, family members, caregivers, and related professionals may receive technical assistance on appropriate use of the AT device and how to access vendors. Additionally, information may be provided regarding available vendors with contact information, technical support, and funding options for devices when requested and as part of making an informed decision. Visit al.at4all.com for a complete list of AT items available for short-term loan. Questions? Contact us at tasc@ucphuntsville.org or 256-859-4900. Learn more about alternative financing opportunities to assist with the purchase of assistive technology.